apply are utilized and stacked when needed and appropriate. Since Georgia only requires liability insurance policy limits of $25,000 per person / $50,000 per occurrence, it is not uncommon for personal injury claims to be worth more than these minimum coverage. much coverage they wish to purchase. Some choose the $25,000 / $50,000 minimum policy limits, while others higher policy limits. If you do not have a personal injury attorney, then it will be difficult to negotiate a fair settlement and to know how to properly stack the insurance policies that do apply. In many instances your own uninsured motorist coverage (UM coverage) may also cover your personal injury claim. Uninsured motorist coverage (UM coverage) is not required by Georgia law, but is essential to have. An uninsured motorist policy covers you when you have a personal injury claim against an uninsured negligent driver. 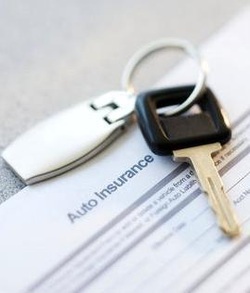 This form of UM coverage is known as under-insured motorist coverage.